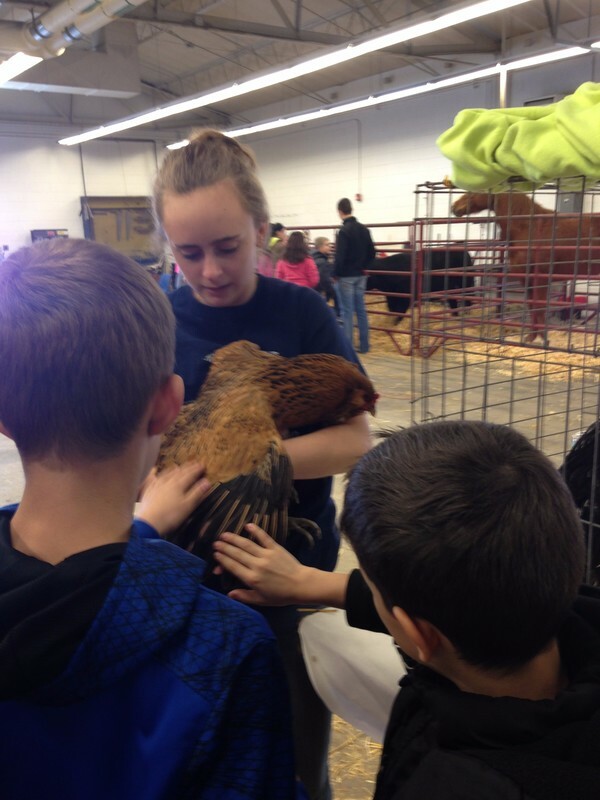 FFA Week comes to a close with Annual Barnyard Day. 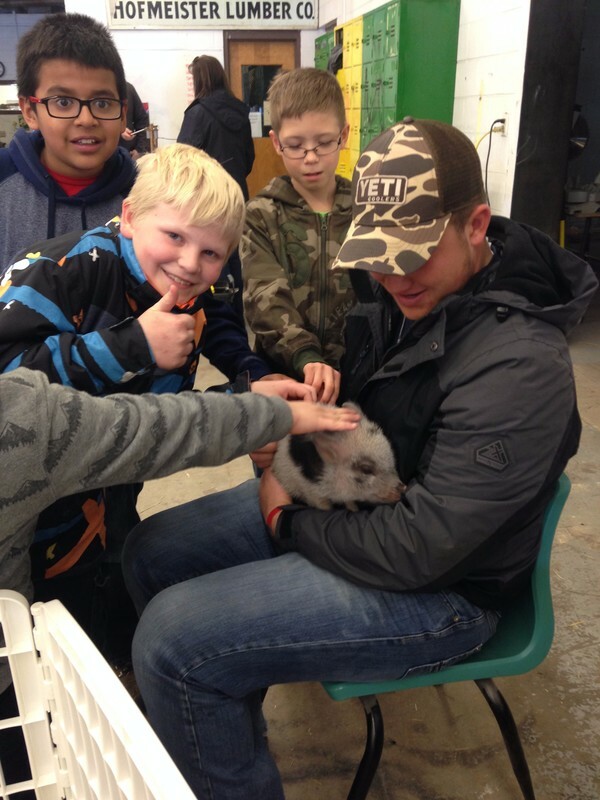 Students from the Elementary School came over to meet cute teacup pigs, goats, roosters, horses, and calves. 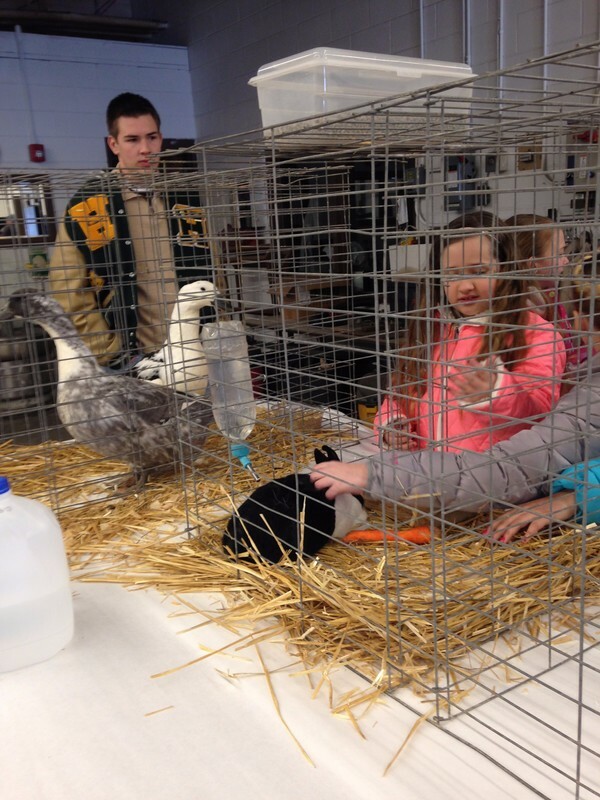 High School FFA members also introduced other JR/SR high students to the adorable animals. 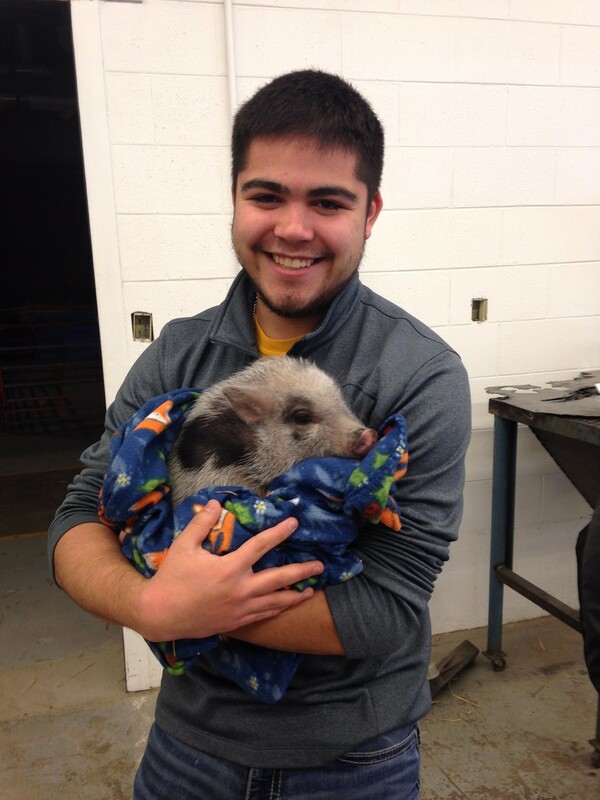 Throughout the week, students and staff participated in a competition and FFA fundraiser, putting dollars into jars to vote for a staff member to kiss a pig. At the end of the day, Mr. Lampkin will be kissing the pig!